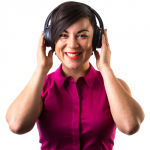 Christina Canters is a speaker, podcast host and communication skills trainer based in Melbourne, Australia. A former Architect, she started her business The C Method to help high performing professionals and business owners dramatically increase their influence, confidence and impact at work, through learning powerful communication techniques. Her training encompasses public speaking, confidence-building, effective workplace communication, as well as trust & relationship building. 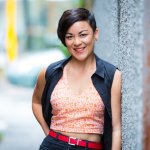 As a speaker, Christina has wowed audiences at organisations and conferences around the world with her engaging storytelling, passion, humour and the occasional ukulele song. 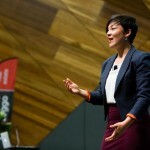 She is a regular speaker at the USA’s Podcast Movement conference, has lectured at universities both in Australia and internationally, and has spoken at conferences for organisations including Stockdale & Leggo, Toastmasters International and The League of Extraordinary Women. She has shared the stage with Kevin Smith (AKA Silent Bob of Clerks fame), Shark Tank ‘shark’ and RedBalloon founder Naomi Simson, and podcasting powerhouse Pat Flynn of Smart Passive Income. She was featured in the entrepreneur documentary Your Own Way Out along with the likes of Derek Sivers and Peter Shankman, was a major prize winner in the prestigious 2015 RMIT Business Plan Competition, and has been featured on numerous business podcasts and blogs. 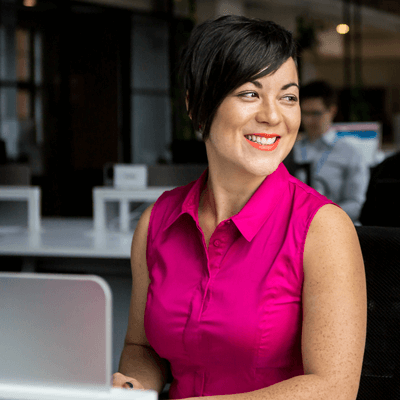 Christina is also the CEO and Co-Founder of Podcast Services Australia, a business that helps companies and organisations create, launch and run engaging internal podcasts.